On October 24, 1978, the company introduced the IBM System/38, designed as a follow-on for the IBM System/3. The president of IBM's General Systems Division (GSD) said at the time: "The System/38 is the largest program we've ever introduced in GSD and it is one of the top three or four largest programs ever introduced in IBM." System/38's hardware and programming innovations permitted many functions associated with large computers to be combined into a compact system. It incorporated many advanced features, including a single-level store, object-oriented addressing, and a high-level machine interface to the user. The new System/38 had been developed over eight years by IBM's laboratory in Rochester, Minn., and it was manufactured both in Minnesota and in Vimercate, Italy. Application development programs for the System/38 were developed in Atlanta, Ga., and Menlo Park, Calif. Deliveries of the new system were to have begun in August 1979 but slipped to 1980. In January 1980, GSD announced major enhancements to the IBM System/38, including increased storage capacity. 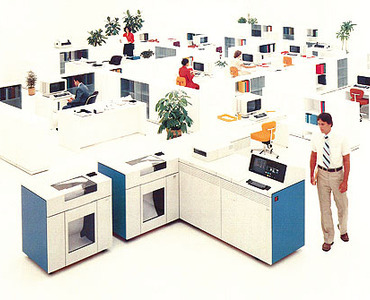 On June 16, 1986, IBM introduced six new IBM System/38 models (IBM 5382), such as the high-end Model 700. The System/38 achieved considerable acceptance in the early 1980s but was ultimately succeeded by the even more popular IBM AS/400 midrange computer family in 1988.